Simulation frameworks are important tools for the analysis and design of communication networks and protocols, but they can result extremely costly and/or complex (for the case of very specialized tools), or too naive and lacking proper features and support (for the case of ad-hoc tools). 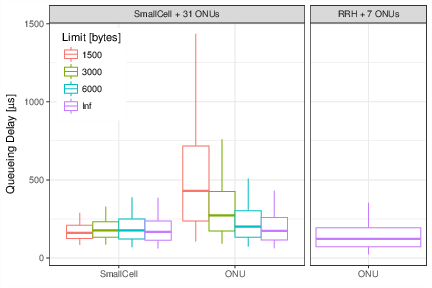 In this paper, we present an analysis of three 5G scenarios using simmer, a recent R package for discrete-event simulation that sits between the above two paradigms. 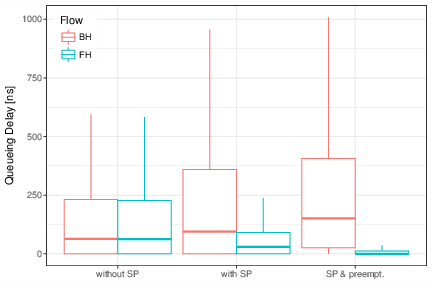 As our results show, it provides a simple yet very powerful syntax, supporting the efficient simulation of relatively complex scenarios at a low implementation cost. 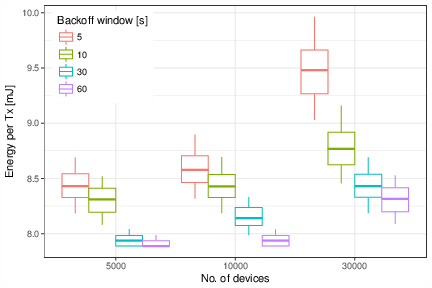 This vignette contains the code associated to the article Design and Analysis of 5G Scenarios with simmer: An R Package for Fast DES Prototyping (see the draft version on arXiv), published in the IEEE Communications Magazine (see citation("simmer")). Refer to the article for a full description and analysis of each scenario. 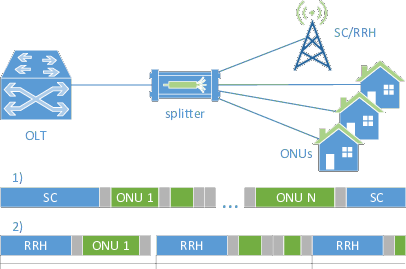 This scenario is motivated by the Cloud Radio Access Network (C-RAN) paradigm, where the mobile base station functionality is split into simple Remote Radio Heads (RRH), spread across the deployment and connected by fiber to centralized (and possibly virtualized) Base-Band Units (BBU), at the operators’ premises. In this C-RAN paradigm, fronthaul (FH) traffic from the RRH has stringent delay requirements, while backhaul (BH) traffic from the BBU has mild delay requirements. In a general topology, such as the one illustrated in the figure, packet switches will forward both types of traffic. We use simmer to simulate the scenario and decide whether introducing service differentiation might improve the ability to fulfil the delivery guarantees of FH traffic. Deployment of a Small Cell, reducing the amount and requirements of the generated traffic. Deployment of an RRH, following the C-RAN paradigm discussed above, which would therefore generate time-sensitive FH traffic. 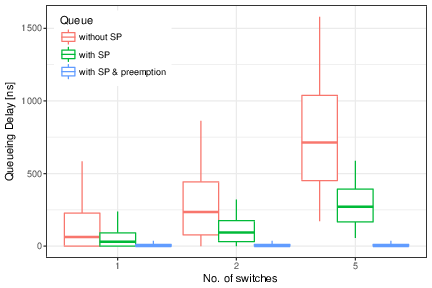 In both cases, we analyze the upstream channel of a Time-Division Multiplexed Passive Optical Network (TDM-PON) providing broadband access to the residential users and the mobile users. Finally, we consider the case of a massive Internet-of-Things (mIoT) scenario, a use case for Long Term Evolution (LTE) and next-generation 5G networks, as defined by the Third Generation Partnership Project (3GPP). As the figure (left) illustrates, we consider a single LTE macrocell in a dense urban area. The buildings in the cell area are populated with \(N\) smart meters (for electricity, gas and water), and each meter operates independently as a Narrowband IoT (NB-IoT) device. The devices’ behaviour is modeled following the diagram depicted in the figure (right).